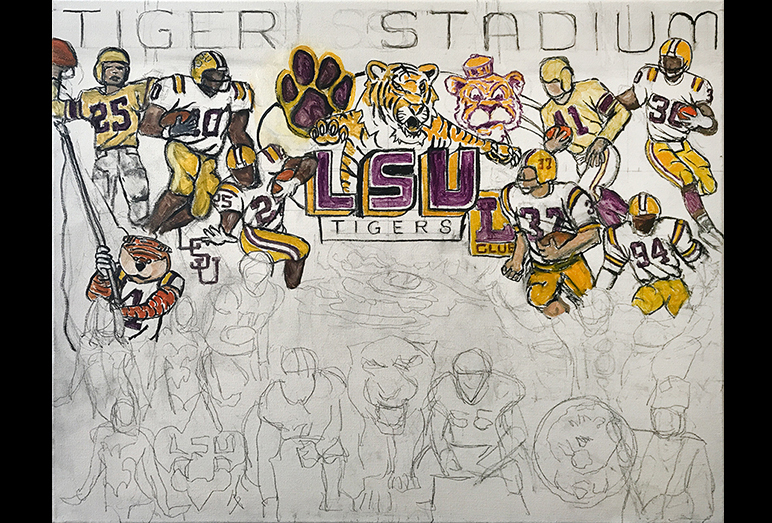 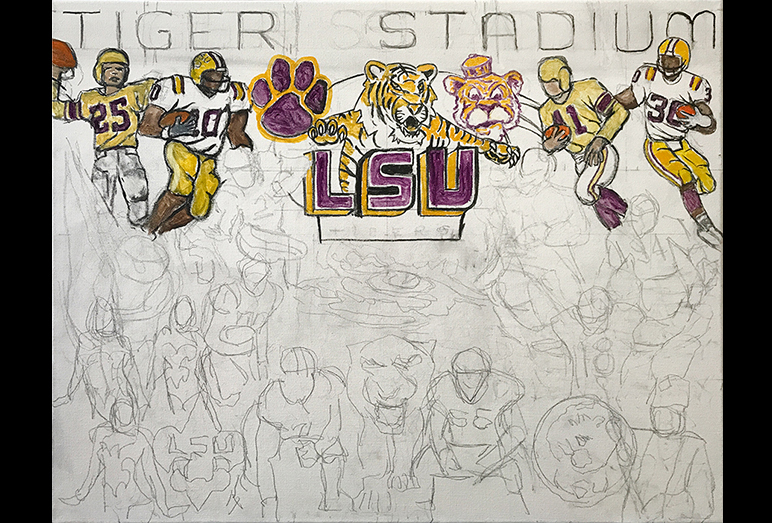 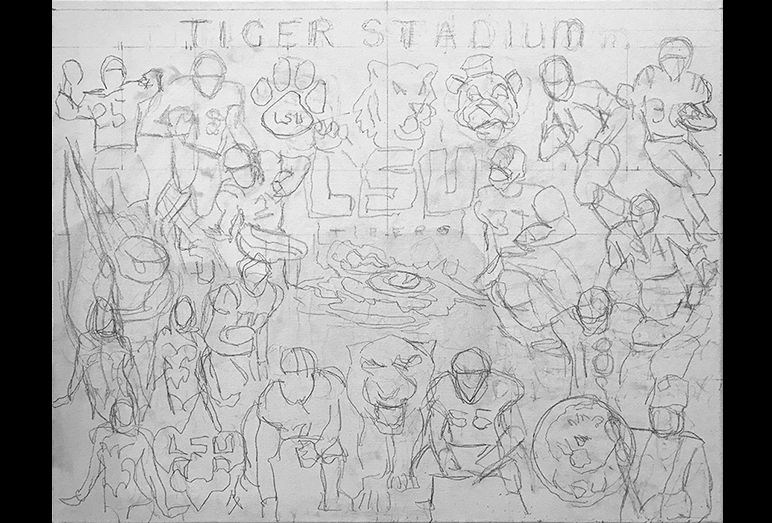 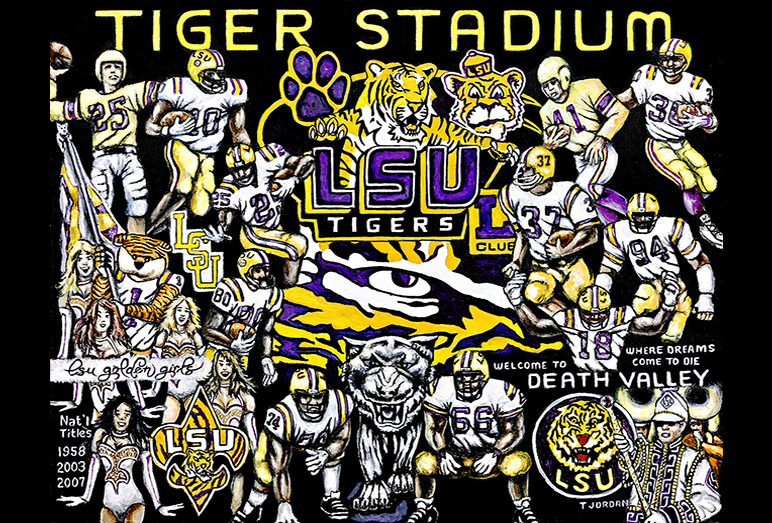 Louisiana State Tigers Tribute -- Painting Progression -- Use controls to view all images. 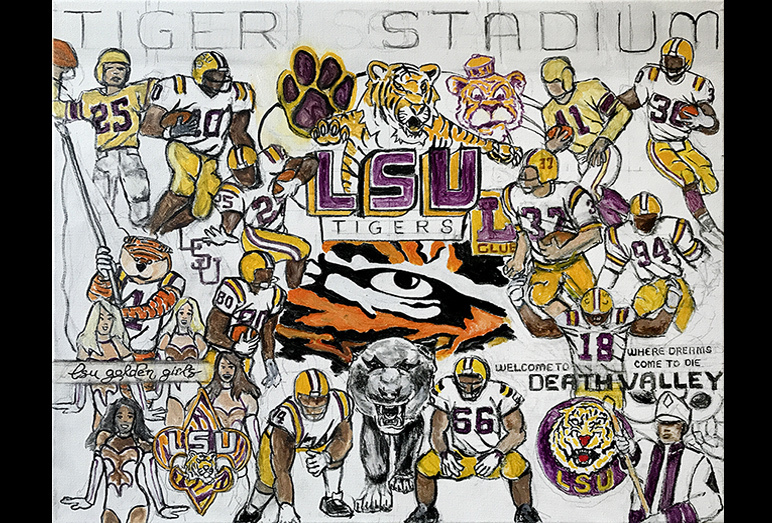 Tom is happy to introduce another finished painting, a tribute to the Louisiana State Tigers football program. 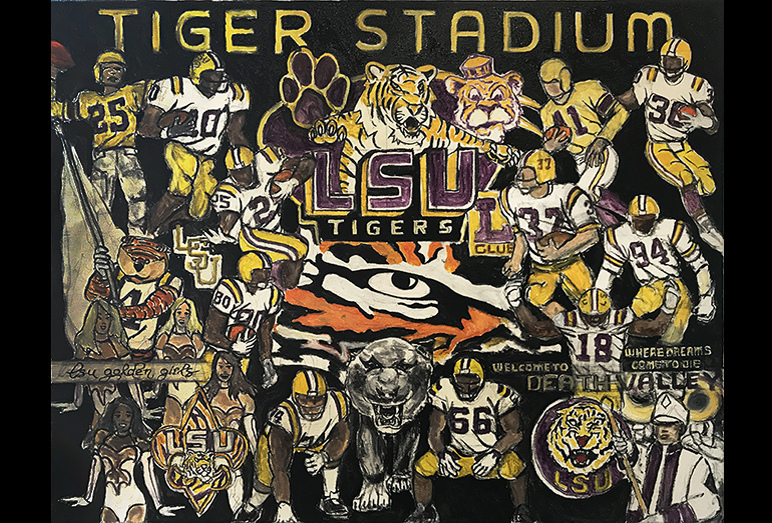 The Tigers compete in the Western Division of the Southeastern Conference (SEC) and has won three National Championships: in 1958, 2003 and 2007. 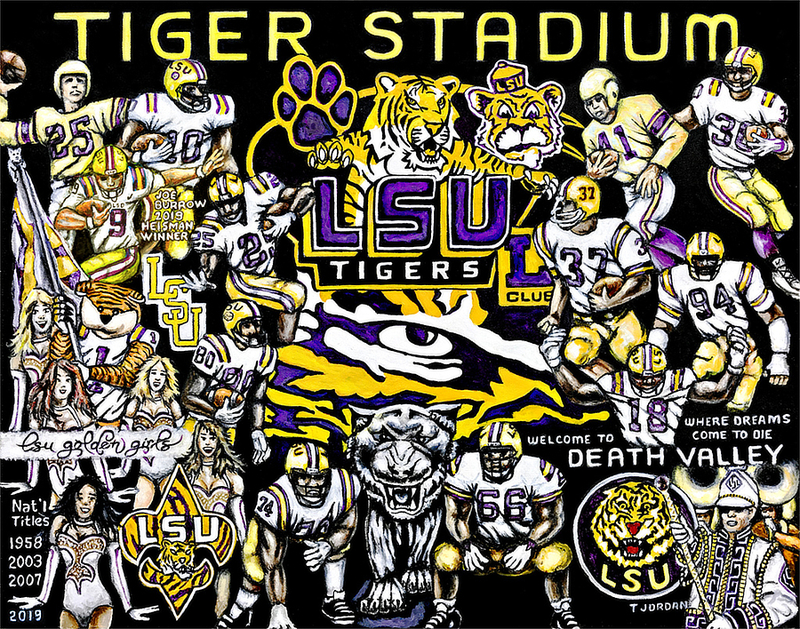 As of the beginning of the 2016 NFL season, there were 42 former LSU players on active rosters in the NFL, the most of any college program.